Ahead of releasing their Hive Mind LP in July, the Internet have now shared a clip for "Come Over." 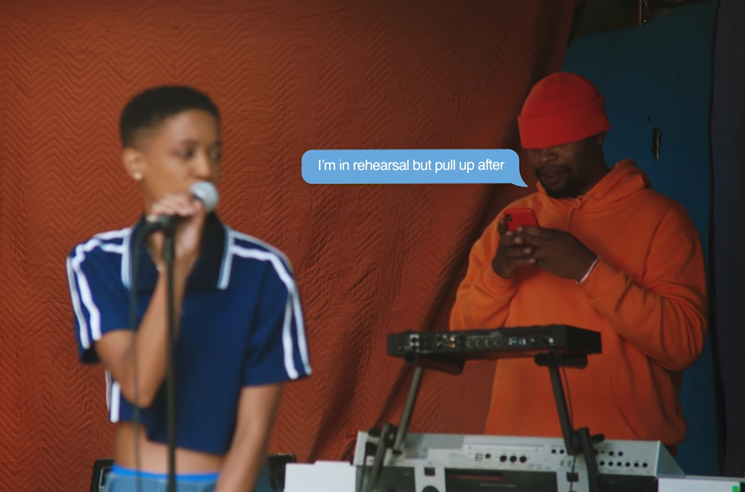 Directed and edited by Syd, the clip opens with the band members glued to their phones, texting incessantly to try and make some moves on their love interests. You can watch the colourful clip in the player below. "Come Over" followed the release of "Roll (Burbank Funk)." Hive Mind arrives July 20 through Columbia.